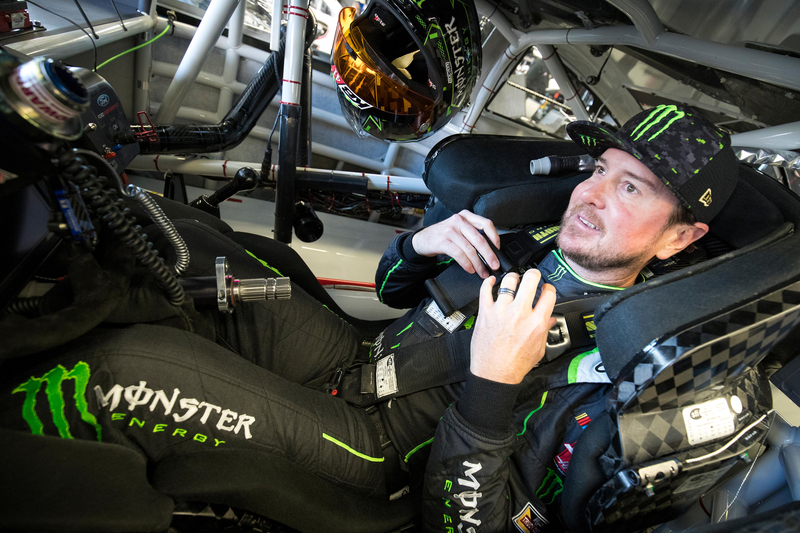 Four NASCAR Cup Series champions with a combined 10 titles highlight a list of 14 drivers tentatively scheduled to participate in a two-day test session at Las Vegas Motor Speedway Jan. 31-Feb.1. Seven-time NASCAR champion Jimmie Johnson, Las Vegas-born titlists Kurt Busch (2004) and Kyle Busch (2015), as well as 2012 champ Brad Keselowski, will be on-hand for the test, which will be open to the public free of charge. Other NASCAR stars expected to participate in the data-gathering sessions include Ryan Newman, 2017 Daytona 500 champion Austin Dillon, Clint Bowyer, David Ragan and Matt DiBenedetto. The tire test will mark the first track activity for Kurt Busch in the No. 1 Monster Energy Chevrolet for Chip Ganassi Racing, as well as Newman’s first seat time in the No. 6 Ford for Roush Fenway Racing. It also will be the first time for drivers to use NASCAR’s new aerodynamic package –designed to reduce horsepower and foster tighter racing – at LVMS. In addition, 2019 Monster Energy NASCAR Cup Series rookie Ryan Preece, veteran drivers Paul Menard and David Ragan, 2018 DC Solar 300 winner Ross Chastain, Landon Cassill and Drew Herring are scheduled to be at the 1.5-mile speedway for the two-day event. A section of the main grandstands and pit road will be open to fans at the test – which has tentatively been scheduled to run from 8 a.m. to 6 p.m. Pacific Time on Thursday and 8 a.m. to 1 p.m. on Friday – and food and beverage options will be provided for purchase at the track. The track activity will come just more than a month before the speedway’s first NASCAR tripleheader weekend of the year, which will be preceded by two days of racing at the LVMS Dirt Track Feb. 27-28. The Strat 200 NASCAR Gander Outdoors Truck Series race and Strat qualifying take place on Friday, March 1, with Saturday’s racing action is highlighted by the Boyd Gaming 300 NASCAR Xfinity Series race and the Pennzoil 400 presented by Jiffy Lube anchoring five consecutive days of racing at the 1,000-acre facility with a 12:30 p.m. start on Sunday.